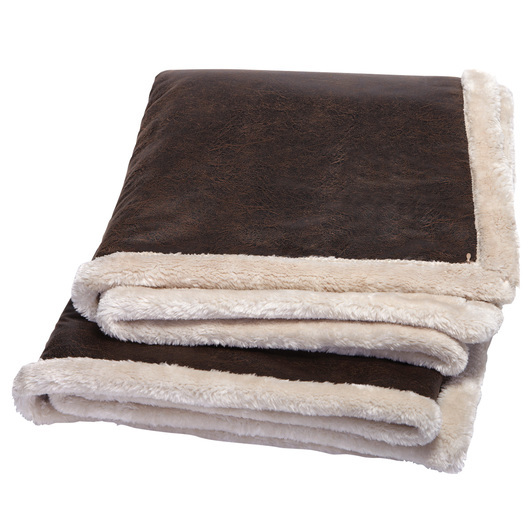 A throw that is rich in texture and wonderfully soft to the touch, it combines the elegant look of faux leather with the richness of soft faux fur. A delightful addition for most rooms in your home. It's design will surely complement a living room or bedroom. Made from 100% polyester materials and features a faux leather reversed with pearl faux fur and concealed embroidery zips. 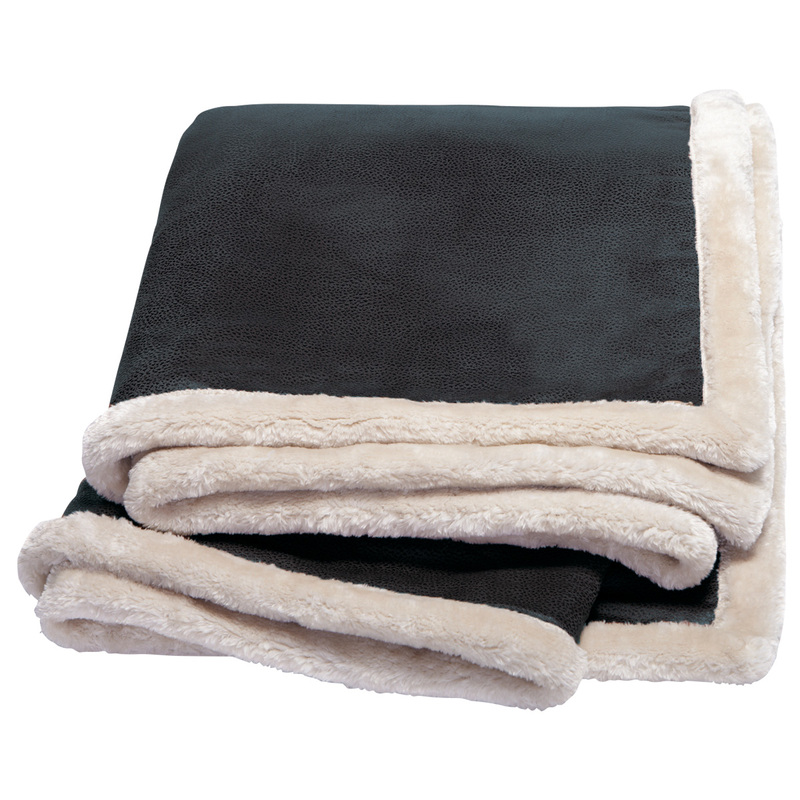 Ideal to drape over any bed, chair, or sofa.